For over 15 years Delphi has proudly served the KFC community. 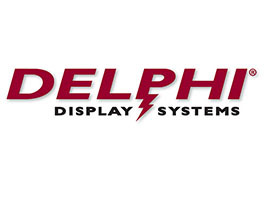 Delphi provides customized digital signage hardware, software and service solutions that enable businesses to engage, interact, influence, attract and retain their end customers. Delphi’s advanced analytics and business intelligence capabilities enable its customers to optimize the effectiveness of their digital consumer engagement strategy. Delphi has installed solutions in more than 30,000 locations in over 50 countries around the world.